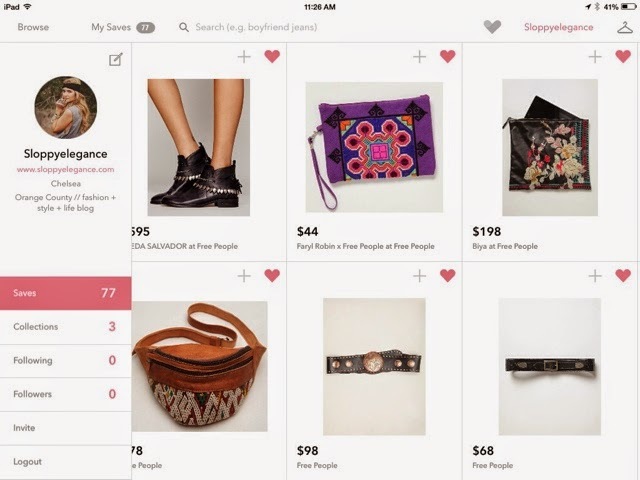 So I want to introduce a new free iPad app that I am currently obsessed with.... stylespotter. If you love Pinterest as much as I do, then you will love this app. 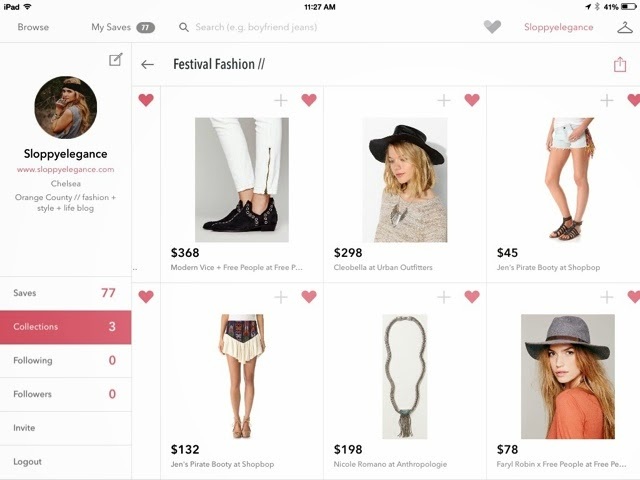 Basically, you can "heart" all your favorite online shopping finds (from all of your favorite retailers) on one screen. 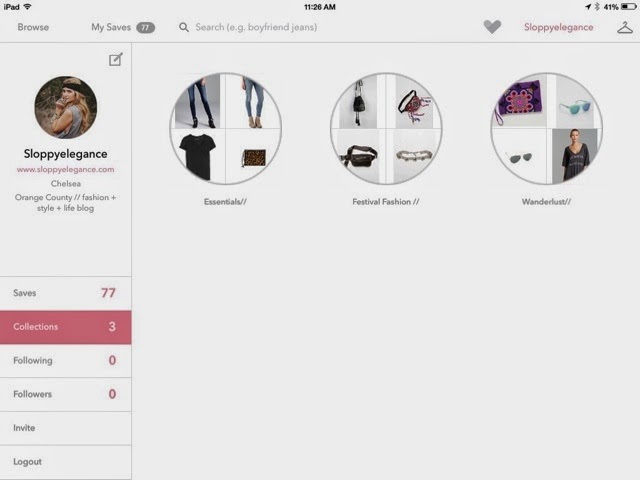 You can then create collections to organize your "wish list." I recently created Festival Fashion, Wanderlust, & Essentials. 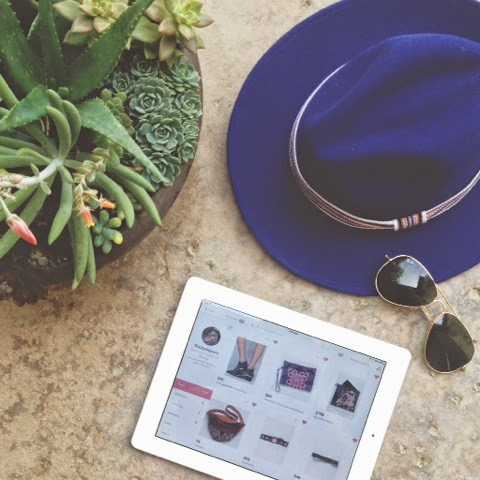 Its all about making online shopping convenient and easy. It's super addicting. You can see below the profile I made. Or click here to view it in a new window. Be sure to download the app and follow me! I would love to see whats on your current wish list and share my shopping addiction with you.